My wife and I took a trip to Texas to see family last Wednesday. 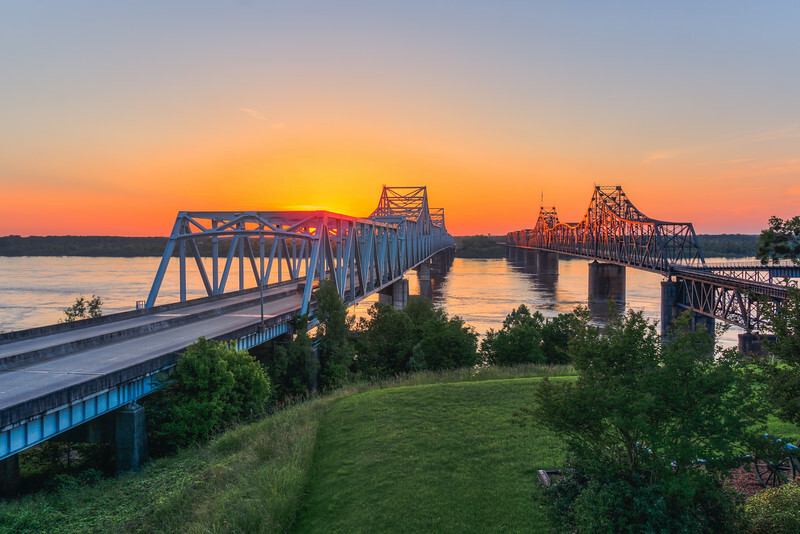 On our way back we hit Vicksburg at just the right time to be able to capture this sunset photo over the Mississippi River bridge. What a fantastic site it was! Added to that, the welcome center, where I took this photo, was not busy at all so there was no waiting on others to take photos, just waiting on the sun to set right behind the bridge. I love these old trains that towns still keep around at old train stations or as monuments in their downtown areas. 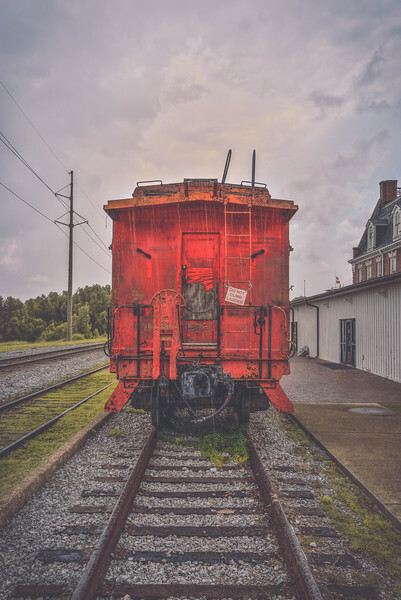 This train sits behind the old Vicksburg train station in downtown Vicksburg next to the river. The rain had started to set in while I was photographing around that area so you can see the rain drops in front of the train. The red really stuck out amongs the overcast sky. 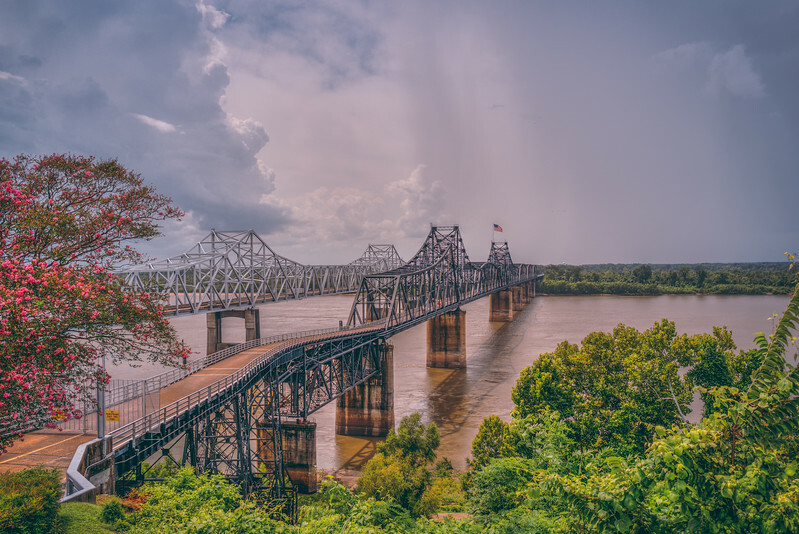 I took this photo of the Mississippi River Bridge in Vicksburg with my 50mm Sony lens, which I very rarely use for any type of landscape shot or HDR shot in general, but I wanted to get a more cropped photo of the bridge since I couldn't get any closer to it. I think these bridges are so beauitful and are fun to photograph from all different angles and focal lengths. 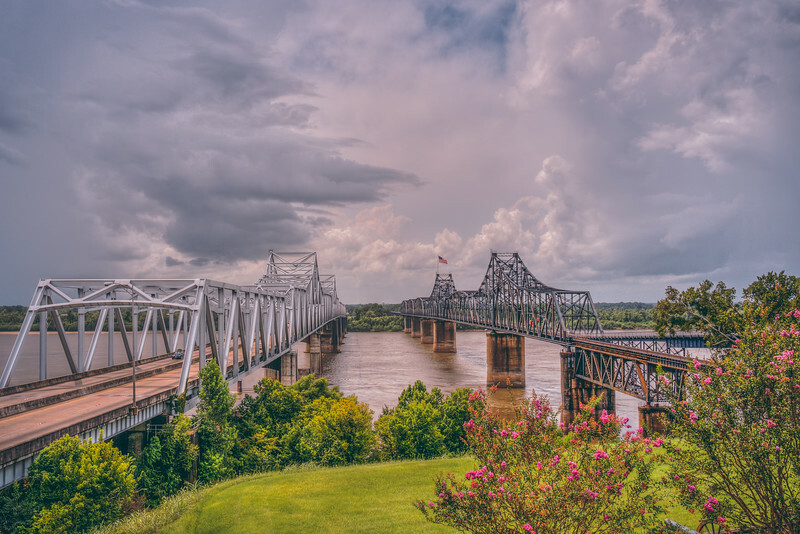 It was very cloudy on our visit to Vicksburg when I took this photo, but sometimes clouds help the photo by creating some drama and more drama can be created by the use of color or extraction of color, which I did with this photo. I call it a mix of color and monochrome, allowing the oranges and yellows to pop while everything else is pretty desaturated. I love to play with editing styles and seeing what I can get out of photos by manipulating color. 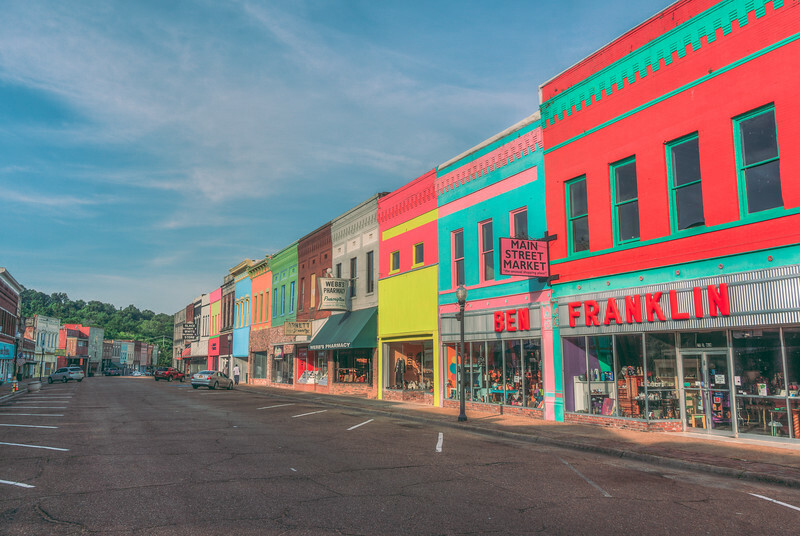 And by the way, I love Vicksburg's downtown area! Happy Labor Day! I hope everyone is enjoying a day of rest and time with their families. 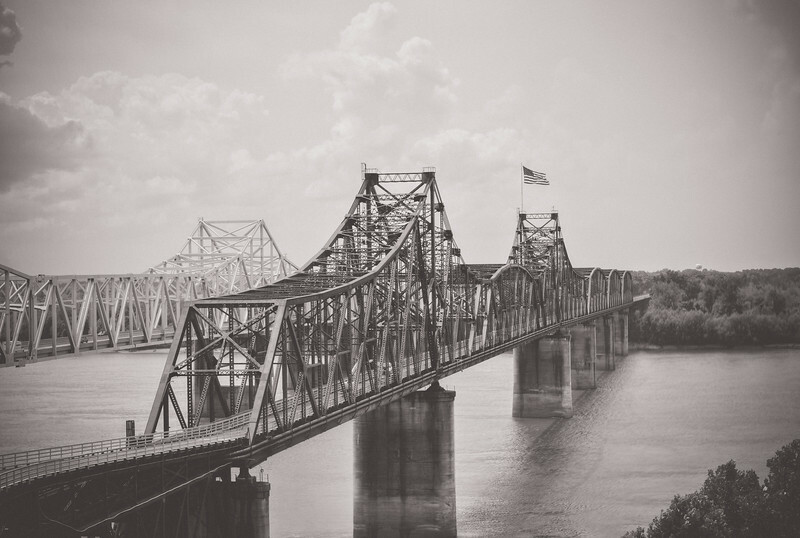 This is a shot from the Miss/La bridge in Vicksburg fromt the welcome center on the Mississippi side. This is such a beautiful spot to get a photo of the bridges and is a shot I've wanted to get for a while. 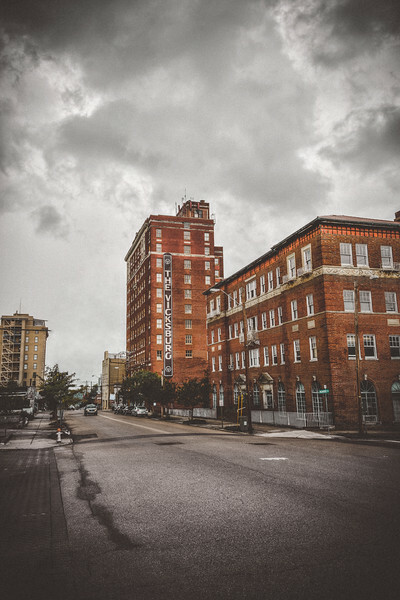 Vicksburg is a beautiful town and I hope to explore it more in the future. 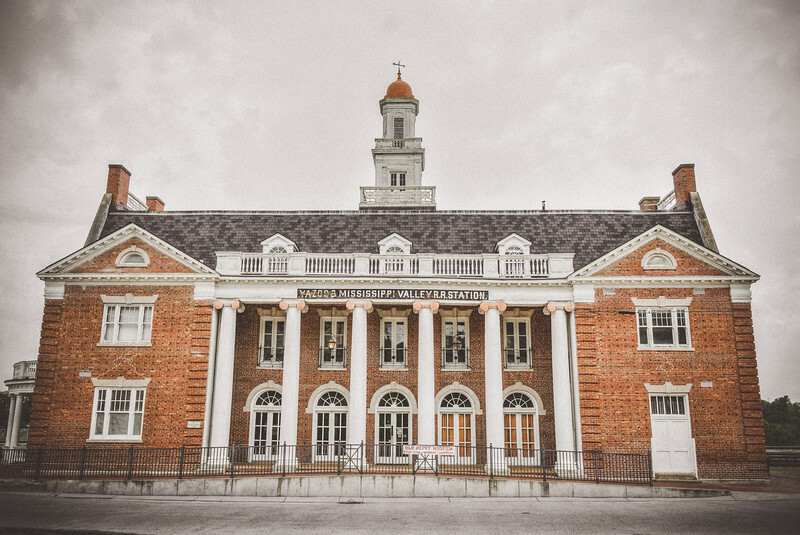 This is the old train depot in Vicksburg, which sits right next to the Mississippi River. 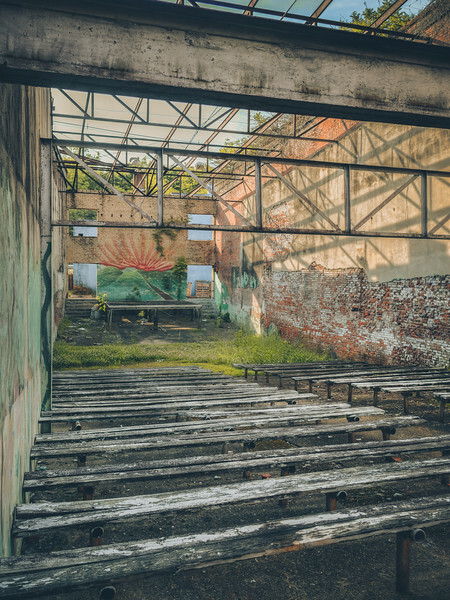 The rain started to set in as I was taking photos here, so it was cut a little short, but I was able to capture this shot of this beautiful old building and a couple of trains that sit behind it. FYI, there is a great antique place right next to this station that my wife was enjoying while I was taking photos. 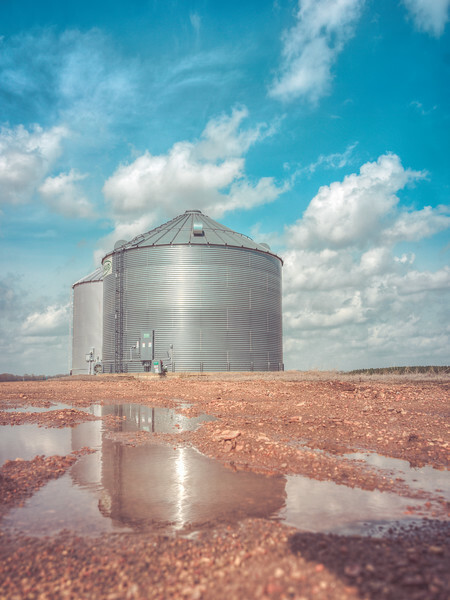 Looking forward to getting back to Vicksburg for lots more photos.